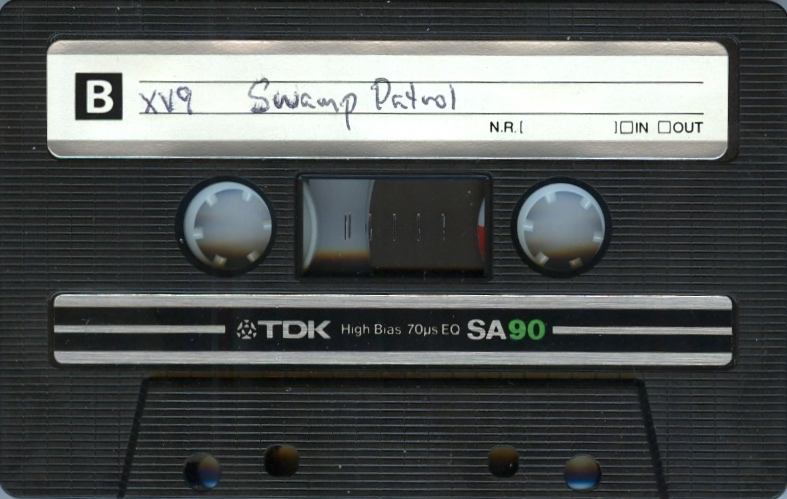 Cassette stored in a case upon arrival. TDK Position II High Bias SA90 tape. Both safety tabs were intact. Removed 9/7/14. 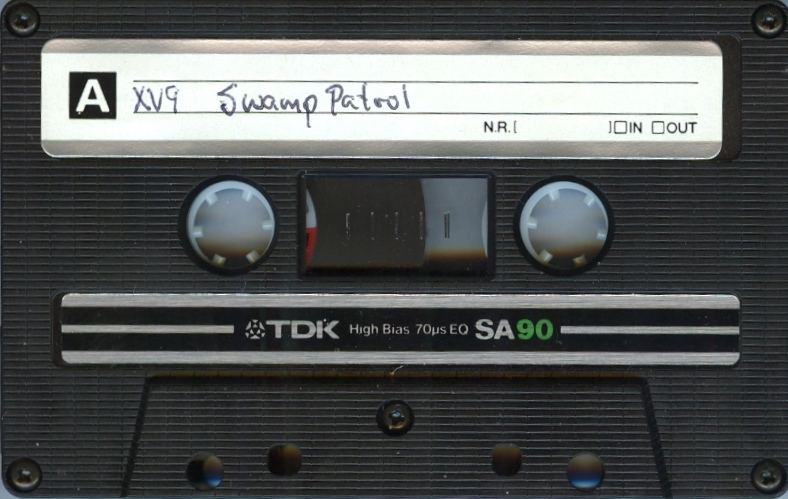 Came with the original TDK info j-card: labeled XV9 Swamp Patrol+ VISCERA on spine of j-card. late 1983? 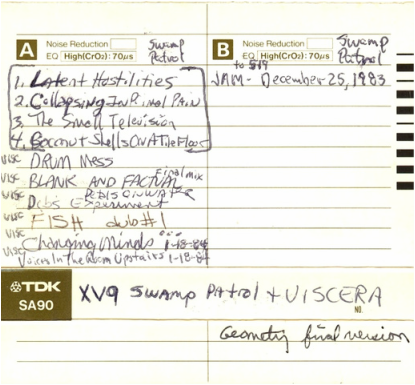 maybe December 25, 1983 - same day as Swamp Patrol jam on Side B? 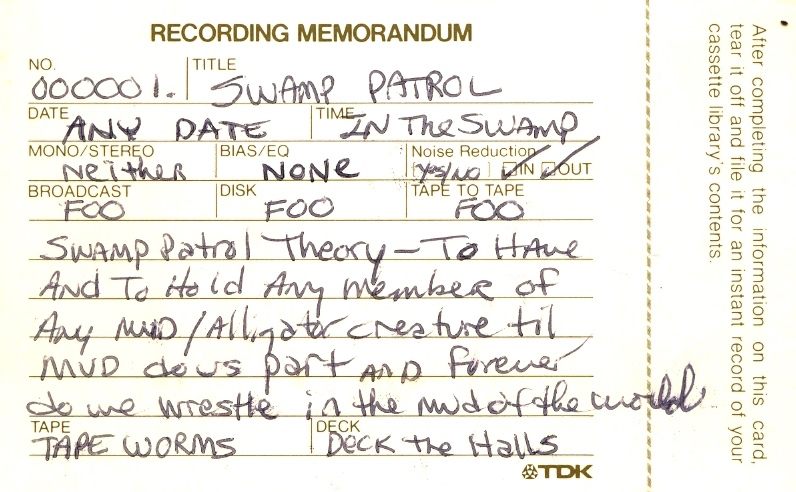 - perhaps recorded at Rick Karcasheff’s house? Hal vocal (left), Deb on MT-11 (center), perhaps VL-1 (presumably Deb, on right). This might be another overdub piece. “Changing Minds” was on Side B of Horror Movies. - my guess is that Hal generally always played on the left (in the stereo field), David in center, Deb on right.